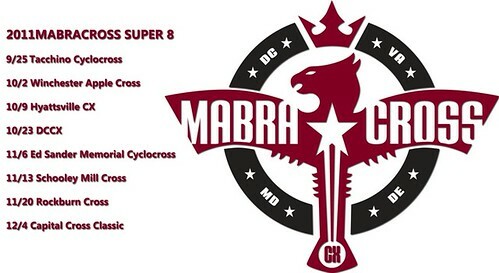 The Super 8, MABRAcross’ top level series, has released its 2011 calendar. The series is once again sponsored by BikeReg.com. The Verge Sport leader’s jersey is also back and will be contested in 10 categories with the series winners presented at the Capital Cross Classic finale. See you out there!